As the house is getting built in a modular fashion, much of the work was done in Perfect Places new factory near Stellenbosch, Cape Town. A team of carpenters, plumbers, electricians and apprentices got to work building each of the individual panels that will make up the house. Where we could, we chose the most environmentally friendly option available to us. We used reclaimed wood for the internal posts, and inside the majority of the panels the hemp insulation was inserted and the panels sealed with ply which will be clad on the outside with MagBoard, a pressed magnesium oxide board that is tough and durable to protect the panels from the weather, and the hemp chipboard on the inside. The outside walls on 2 sides, and one central wall next to the staircase will be hempcrete and the panels are left open so the hempcrete can be applied on site. We are showing both ways of building with hemp in this prototype house. 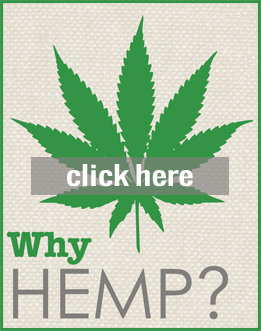 Each way has its application with the hempcrete being stronger and better insulating while the hemp insulation sandwich panels being easier and quicker to build with and perfectly adequate for the South African climate. The corner pieces are the most integral part of the design, and specific focus is applied to get their angles exact and the insulation and strength optimised. All the pipes for cabling, water, and waste are inserted into the panels in the factory, but can be easily accessed by removing the skirting once the panels are in situ. The windows are double glazing and were ordered from a local company, Massclusivity, who import them from Germany, as the local quality was not yet up to scratch. 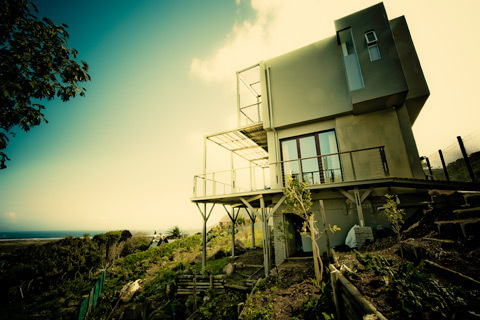 The energy saved by using the double glazing, the guarantee offered, the quality of the windows and the gas filling of the cavity, as well as the sound insulation in windy Noordhoek, were major considerations in this decision. The beams for the floors and roof were sourced from Super joist and use 40% less wood than regular beams. It was amazing to see all the panels coming together and being piled up, seeing what was soon to be the hemp house lying stacked in a pile and ready to go to site. We also had to experiment with different hempcrete mixes to make sure we have it right before going to site, and also are working on a hemp and polymer binder for the ground floor slab. During this process we also had to choose a lot of the internal finishes. As everything moves a lot faster, there is a bit of pressure to make decisions on the fly as you do not have the ”luxury” of a 6-9 month building period to make sure you get everything just right. At the end of this process, the strip foundations were laid, and the floors and panels delivered to site where everything started coming together.